FIFA 14 news: another one club will appear in the game? Are you a fan of FIFA football simulator and do you quarry endlessly for any new information about this project? Then today you're a lucky person, because we want to tell the latest FIFA 14 news. EA Sports company, the publisher of FIFA game series, has officially announced today that it has signed an exclusive three-year contract with FC Barcelona. For the fans of this awesome game this is a very good news, as it becomes clear that the appearance of 17 players from the famous Catalan club, including, by the way, Xavi Hernandez and Gerard Piqué, will bring to the FIFA 14 game even more realism. 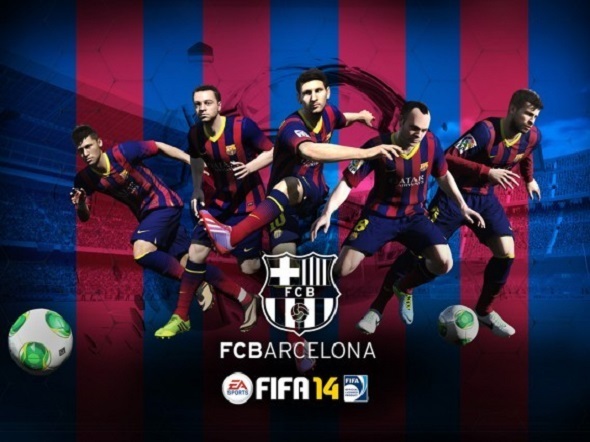 EA Sports has also told that FIFA 14 game will have a famous stadium of FC Barcelona - Camp Nou - one of the biggest stadiums in Europe. But this is not all good news about the football simulator. It has also become known that the players of FC Barcelona will compete with each other in an exclusive tournament, which will help to determine, which of them is the best in managing not only the ball, but the joystick. And since after these hot news you probably want to play FIFA 14, we are hastening to remind you that FIFA 14 game will be released only on September 27 for PC and the current generation of consoles, and a bit later for Xbox One and PS4. So you still have to be patient.